Paul Barras, Member of the Executive Board. Home » Paul Barras, Member of the Executive Board. Paul Barras 1755-1829. Member of the Executive Board. 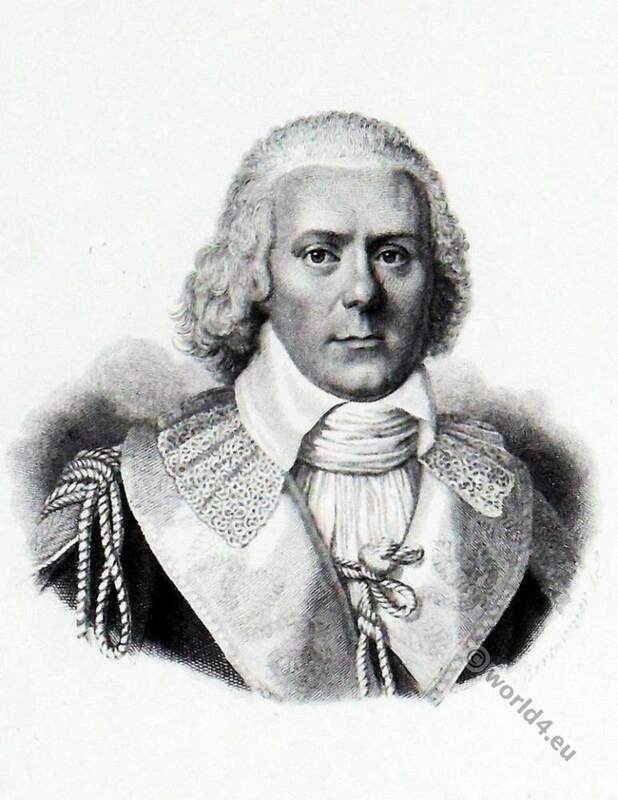 Paul-François-Jean-Nicolas, Vicomte de Barras was a French politician and Member of the Executive Board (Le Directoire, the final form of government of the French Revolution.). Barras, scion of one of the oldest noble families of Provence, joined during the French Revolution as a member of the National Convention in 1792 the Mountain Party and voted for the execution of Louis XVI. He participated in 1794 largely at the fall of Robespierre on 9 Thermidor. He later became president of the National Convention. Joséphine de Beauharnais, the future wife of Napoleon Bonaparte, was his mistress. Barras encouraged the young general who had put down a Royalist uprising against the Directorate for him in Paris, as he commissioned him to lead the army in Italy and later the Egyptian expedition supported. However, Napoleon Bonaparte coup in 1799 forced to resign Barras and send into banishment. This entry was posted in 1790, 18th Century, Directoire, France and tagged French Revolution Costume, Portrait on 7/27/15 by world4.